Enterprise CRM implementations are usually wild west ventures. The script is worryingly familiar. Countless manual hours gathering requirements, haggling over budgets, balancing different stakeholder agendas etc with no direction. 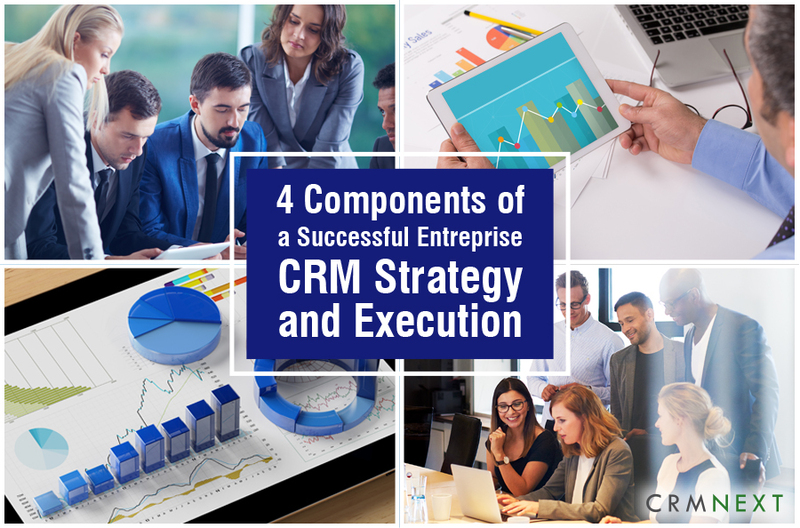 For your enterprise CRM implementation project to deliver business results, you need four important components, as listed below. The differentiator today for any business is not a product, but an experience. And customer journeys make it possible. A typical design will focus on the following in chronological order. A great journey is similar to a blockbuster drama with the right script. A good customer journey design will result in faster onboarding, minimal manual intervention and (almost) instant fulfillment. Today's customers demand better and faster services than their last interaction. this is possible if you have processes that include multi-channel experience. Customers glide across devices and channels with the granted assumption that the data and experience will remain the same. Use CRM solutions so as to not disappoint them. An omnichannel UX approach will result in a brilliant experience that translates to higher brand interaction. Seamlessly stitch as many channels you can in a single interaction. Cross-departmental synergies power innovations. And this is possible now with visual designers in CRM software that enable you to create processes graphically on the fly. In a single view, quickly understand, explain, collaborate and edit the business rules that powers process logic. Business process modelers that destroys fences improve connectivity between teams and deliver a much higher value proposition to your customers. A centralized repository of data can quickly increase response times. Checking customer profile, transactions, trends, habits, resolutions can be instant, thus boosting First Time Resolutions (FTRs). This also aids in integration with third party systems. Smart modelers can use this database to analyze and display custom offers that guarantee higher conversions. It also minimizes security concerns on multiple data breaches. Business leaders usually look for an easy to use CRM platform that can be implemented quickly and put to work. Take care of the above four components to solve integration issues and reduce operational costs.